1. X1 ott box supports joypad, remote controller, mouse, keypad and Smartphone. So you can manipulate the file explorer with your controllers. Menu buttons cooperate with D-pad in remote controller, scroll files with mouse, or surf the page with your keypad, all controllers are compatible perfectly. 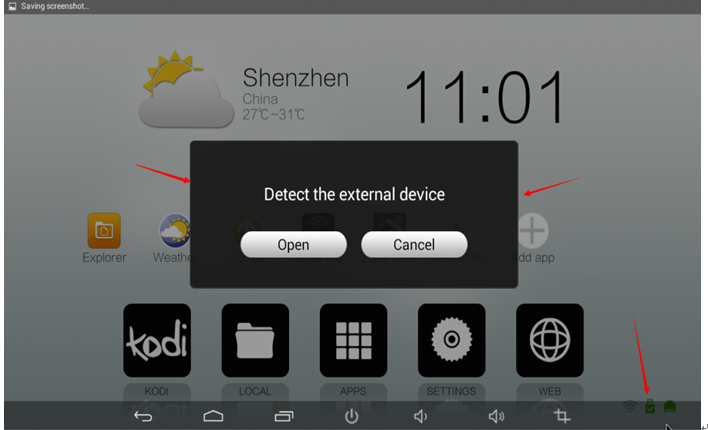 Basic operation: when focus on the border of screen, like border-top, border-left, border-bottom and border-right, the hidden bar will be showed up on the screen, including Device list, File type, and Menu bar. 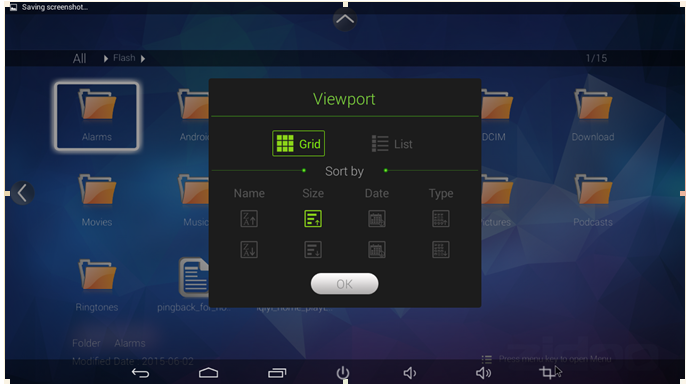 There is an easy way to browse files by Viewport function. 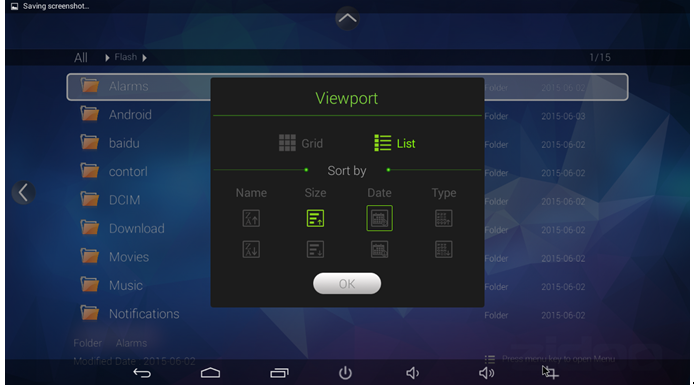 Viewport can help to sort files According to different users and meet their different requirements. You can browse all the files in your server within LAN by using Samba, which can Be used for demo or playing large video directly, etc. 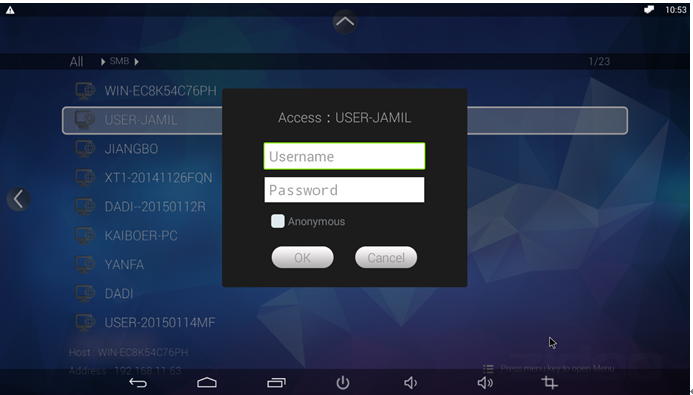 ②Login with user account and password. 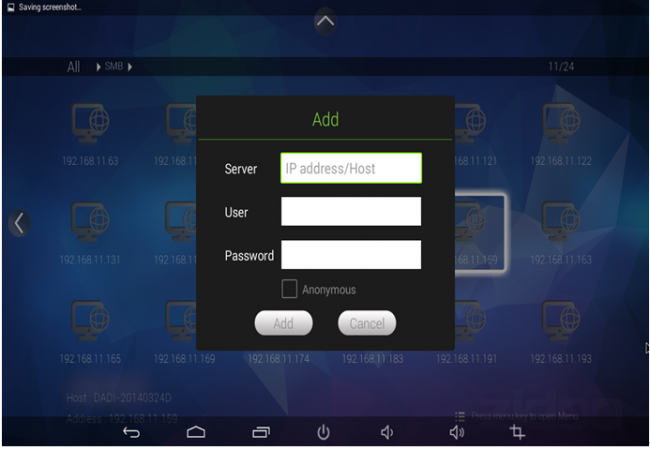 ④Browse file with user name and IP address. 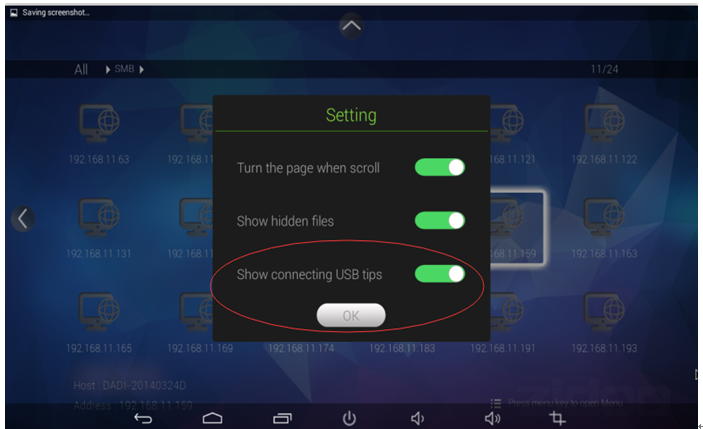 If a USB device plugs in x1, pop-up windows will be shown on the screen wherever the page you are, meanwhile, a flag in bottom-right of HOME page will be lightened. 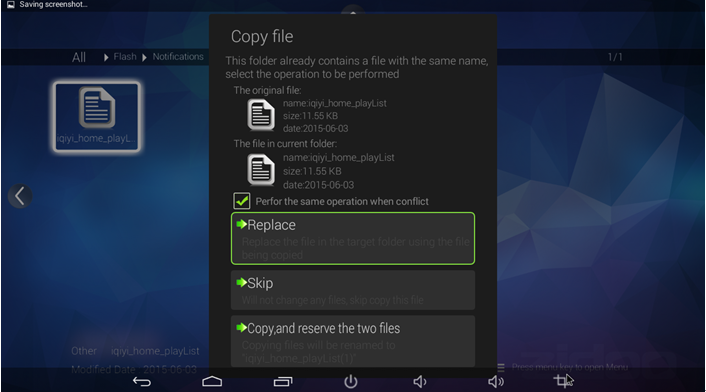 The menu includes the basic functions such as copy ,delete, cut ,etc, also including multi-select function. Our system supports multi-fileSystem(NTFS, FAT32, exFAT, CDFS, RAW ,etc). If a file has the same name when copying or moving , a friendly reminder will be shown in our file explorer. 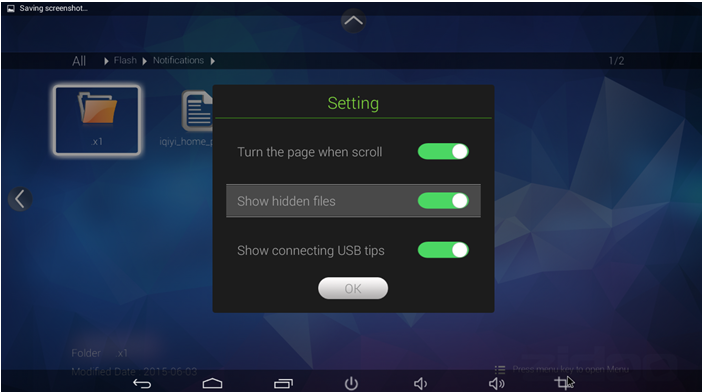 You can browse hidden files just only need to click the menu setting, which a lot of file manager apps without this function. How to add a hidden file: add a symbol ‘.’ In front of the file, the setting will judge whether this file needs to be hidden. Select whether need to be hidden. 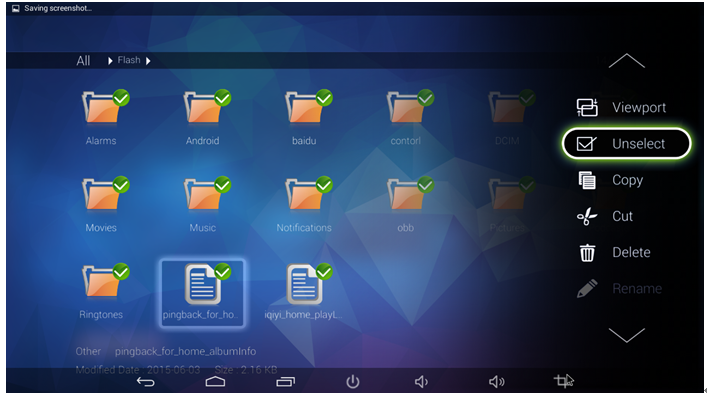 Certainly, there are many other functions on file manager. How do you get to the Devices list? Not obvious from the GUI.